A beautiful lady had to deal with discolored front teeth with failing root canal treatment on the Upper left central, next to it an old veneerand has an ill fitting bridge on the Front teeth on the right side.The treatment was not easy trying to maintain the level of the gingiva around the implant so it won't receed, The Oral Surgeon in Huntington beach, Dr M. Marshall, did a wonderful job. It was not easy to finish the Implant, the bridge and the veneer all together, It took some time but the result was real nice. When Bridgitt walked into my office she was sure she was going to loose all her teeth. Buy the time we finished she had most of them better then she ever can remember, Nobody said it was going to be easy, she had Porcelain veneers on her upper and lower Front teeth, a fixed bridge and Upper and Lower partial dentures. this was done many years ago, Today I may recommend some implants to replace the partials and get rid of the clasps but this case turned out to be one of the most beatiful cases I ever had the pleasure to do and Bridgitt diserves it.these pictures were taken several years after the case was finished, only one before sho I had taken with apolaroid camera years ago. Mr. Herting had severe Incisal and occlusal wear from grinding his teeth, he was referred to our office by ageneral dentist in Huntington beach Dr. p.Hagen. Heneeded a full mouth construction: I worked with a great Oral surgeon to place the implants.It took over 18 month to finish these teeth. Planning this case was very important as we had to open his bite and use long term provisionals before the final restoration where finished. He had Porcelain Veneers, Jacket crowns bridge ork with semi-precision attachments and implant crowns. This patients was getting tired from the gum disease and wanted something comfortable so he can enjoy his life. after careful examination and consideration we removed the very bad teeth and fabricated a fixed brige on the lower arch. 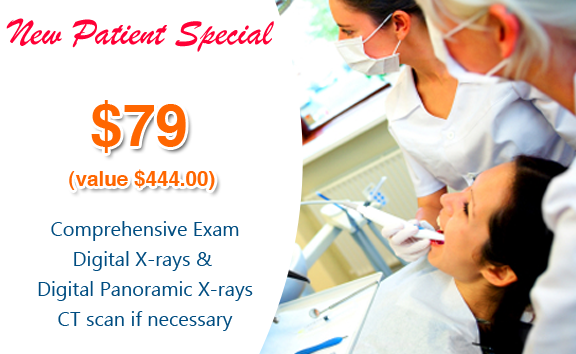 unfortunately mot of his upper teeth could not be saved due to severe bone loss. Nevertheless we saved a few teeth and kept under his dentures, we basically used his own teeth as implants to hold the upper complete Overdenture. Russ is very happy as you can see, he had a great experience. 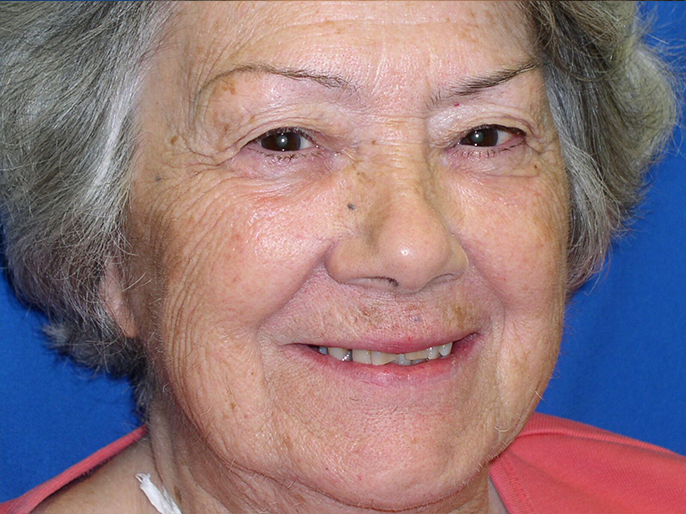 Very nice smille immediately after removing bad teeth and delivering the overdenture.